MSA has connections with a wide range of organisations from across the North West, UK and beyond. They work with us to set our ambitious live briefs, connect with our specialists to produce in-depth research, benefit from working with our talented students and graduates and much more. From attending guest lectures from industry experts, to developing skills through working on live briefs set by businesses and collaborating with community groups in Manchester and beyond: MSA students benefit from our links to businesses and organisations at every step of their academic journey. Our strong links also enable our students to develop networks that benefit them after they have graduated from our courses. You will also have access to the careers services at both The University of Manchester and Manchester Metropolitan University. Here you can access a wide range of opportunities including job adverts, CV clinics and much more. Please note; students on our Landscape Architecture course should contact the Manchester Metropolitan University careers service. 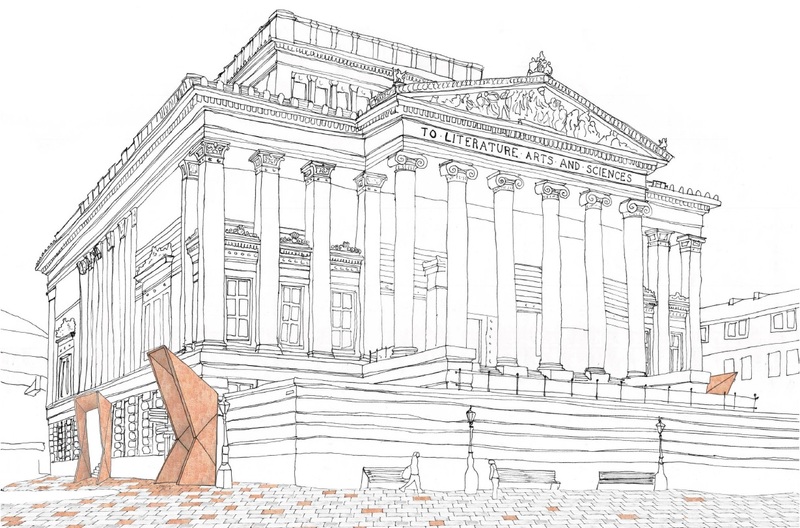 Masters of Architecture (MArch) students from the Continuity in Architecture atelier developed alternate visions for Preston's Harris Museum, Art Gallery and Library, following early design proposals attracting controversy from members of the public. Students had a tour of the Harris to facilitate the conception of their ideas, and subsequently had their ideas exhibited at the museum, art gallery and library. Landscape Architecture (MLA) students created ideas to help shape the design of Manchester's proposed replacement Peace Garden, in Lincoln Square, the rejuvenation of which was campaigned for by Friends of Manchester Peace Garden. Lincoln Square was identified by Manchester City Council as a likely location for the new garden and Planit-IE was appointed by a consortium of developers to deliver the public realm of the area. Working in close collaboration with Friends of Manchester Peace Garden and Planit-IE, 36 students worked in groups over an intensive week to explore how the theme of 'peace' could be translated into a contemporary public space. In collaboration with Loop Systems, architects in residence at Stretford Public Hall, BA (Hons) Architecture students from MSA Praxis atelier held an engagement concerning developments of Stretford. Involving 24 students, key stakeholders and 12 year eight ambassadors from Stretford Grammar School, the event used participative design methods to develop responsive proposals raised at an earlier public meeting at the Hall. If you are a business in Manchester or beyond, working with our students provides an opportunity to not only help us to foster the future of architectural talent, but also for our students to contribute their creativity and skills to your business and projects. We also welcome industry to campus at various points of the year to see the work of our students and graduating class. See upcoming events for our industry network or join our mailing list to be the first to hear about our student showcases and engagement opportunities. An informal drinks reception for final year architecture students to meet local employers. Please contact Rob Hyde for more information.